Royal wedding: Prince Harry and Meghan Markle have sent out their invites! I hope they have my correct address!! ROFL. More info in the article in the link. At the grocery today one of the rag mags had a huge cover story about Meghan being pregnant already. Prince Harry was just named the youth ambassador of the Commonwealth, and revealed that Meghan will join him in this work. Oh wow, that's fantastic! I expect a few trips to Canada especially Toronto where they don't have to sneak around anymore! Not sure if you’ll be interested but there is a movie coming out May 13 about their love story. More info in both links, ctv news and time.com! Prince Harry and Meghan Markle will ride in one of five Ascot Landau horse-drawn carriages during their procession through the town of Windsor after their May 19 wedding, Kensington Palace has confirmed. The carriages are often used in official and ceremonial state events such as Coronations, Royal Weddings and State Visits. Two of the Ascot Landaus were featured in the Duke and Duchess of Cambridge's 2011 wedding, carrying Harry as best man, along with the maid of honour, bridesmaids and page boys from Westminster Abbey to Buckingham Palace. The first journey Prince Harry and Meghan Markle take as husband and wife will be horse-drawn, as is tradition. 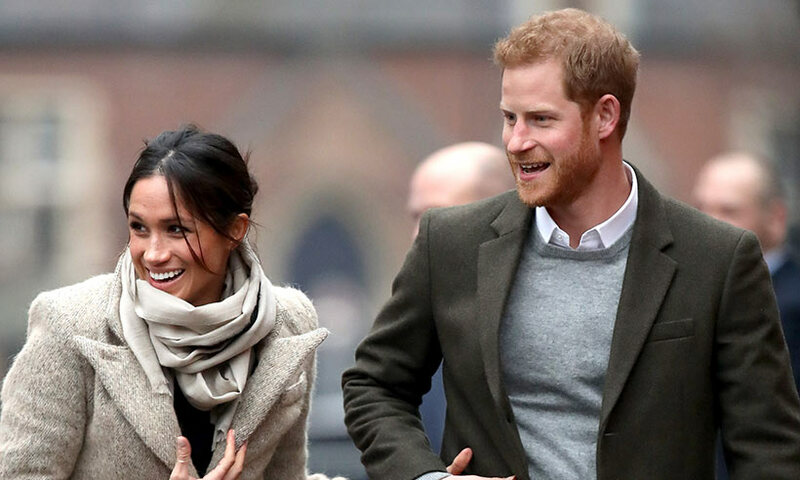 Harry and Meghan will be going on a horse-drawn carriage ride after their royal wedding on Saturday, May 19, Kensington Palace announced Wednesday morning. The link has quite detailed information with specials leading up to the wedding, and the airing schedule the day of the wedding. Planning an early morning viewing party? Here’s what you need to know. s it terribly wrong to wear a fascinator at 7 a.m.? Not when the wedding of Prince Harry and Meghan Markle is at stake. There’s no better time to gather around and a few of your bleary-eyed friends in the early hours on Saturday, May 19. The royal wedding takes place in the afternoon at St. George’s Chapel, Windsor Castle. There will be plenty of pomp including a carriage ride and two receptions after the ceremony. But because of the different time zone, that means in North America the festivities will begin at 7 a.m. Eastern Time or 4 a.m. Pacific Time.